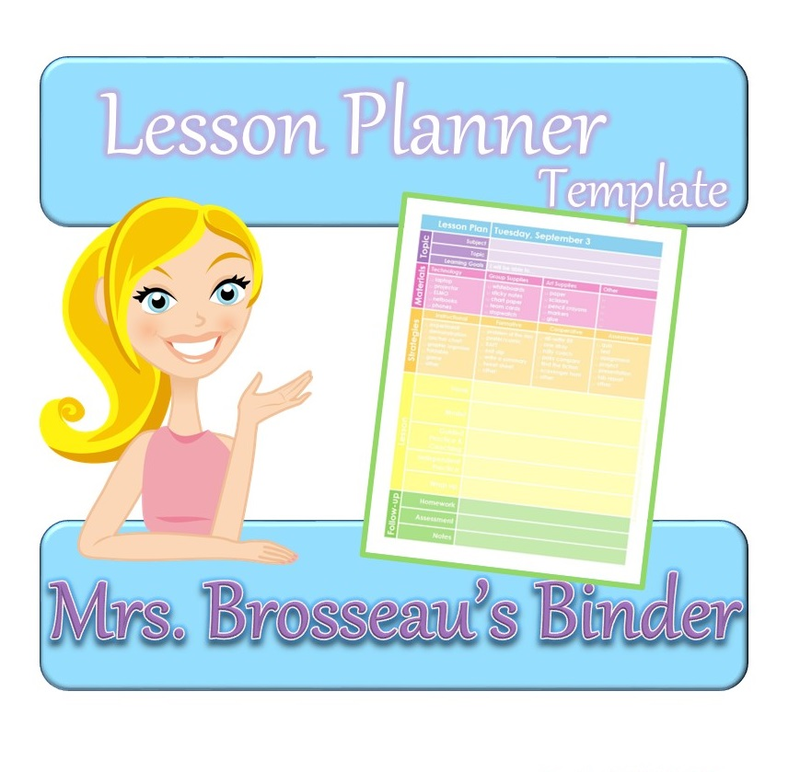 I am offering the lesson planner that I made and use for free. 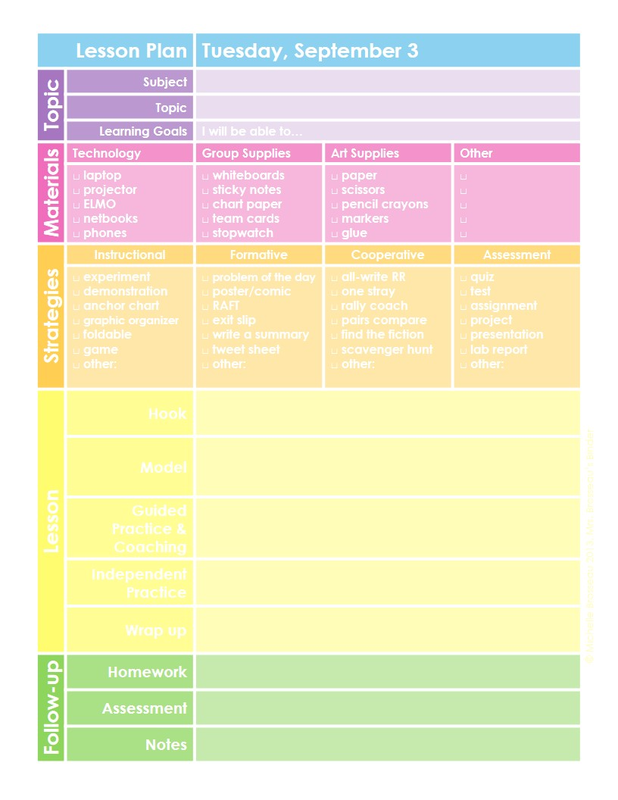 It has a section for the topic, materials, strategies, lesson body and follow-up (along with sub-categories in all of those). This is how I use, but no teacher teaches the same way - so feel free to alter and adjust it to suit your needs. I love that I can just check off the boxes for the different strategies I am going to use in class. They serve as a great reminder of how to differentiate the lesson to meet the needs of my students. 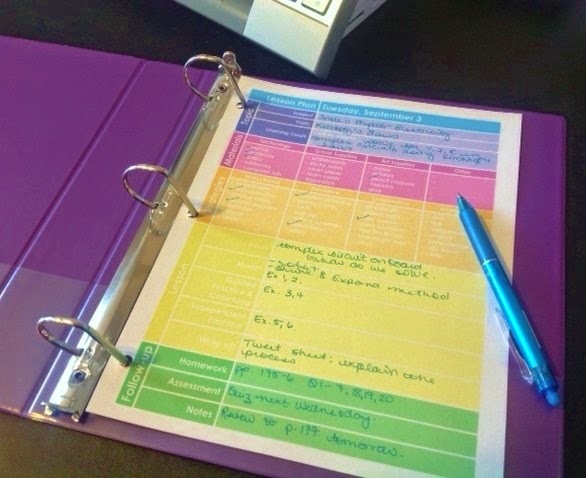 The yellow area can be a little tricky to read on screen, but I love the way the colors print out! I print mine onto thin cardstock and use my colorful, erasable pens.